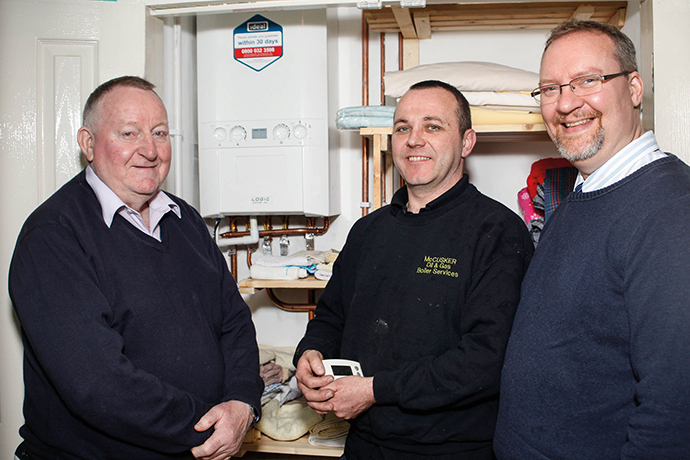 With 2016 marking 25 years in the plumbing business for John, the boost from the additional 75 firmus energy connections has given him even more reason to celebrate. John commented, “Since I became a registered firmus energy installer, the additional gas connections coming in have been great. With efficient boilers and many practical advantages, converting to natural gas is continuing to be a popular choice for people in the area. Retired teacher, Ronnie Hollywood from Newry, recently had his house converted to natural gas by John. Gavin Twamley, from firmus energy, added, “We are delighted that, as well as customers benefiting from the many advantages of natural gas, local installers are also reaping rewards from firmus energy. The information sessions have also been continuing, with one of the latest events held in The Stables Bar, Lurgan. With more than 6,000 customers in the Armagh, Craigavon and Banbridge Council area and a further potential 44,759 properties that will be able to connect to natural gas in the next five years, the event, which was open to home-owners, businesses and elected representatives, allowed attendees to find out more about how and when they might be able to access the fuel source. firmus energy has major plans for the area, intending to lay an additional 430km of gas mains across Armagh, Banbridge and Craigavon by 2021, which equates to an infrastructure investment of £24.4m. Michelle Coleman of firmus energy, explained, “We would like to thank the local elected representatives, home-owners and businesses from the area that came along to find out more about the development of our network and how properties can connect to natural gas.